If you were to think Rajasthan, the first thing you'd think of is the tales of the royals, the wars that have been waged and the magnificent architecture. However, do not forget that the empty and barren deserts of Rajasthan can send a chill up your spine and is no lesser than eerie when the wind howls through the night. Sit back and hold tight as we take you on a ride through some of the most haunted places in Rajasthan. Prepare to be spooked out! If you're an avid reader and have happened to read Shades Of Macbeth, you know how the witch looks like- old wrinkled hags roaming around at night in white dresses, white hair hanging loose over the face. You can also expect things appearing and disappearing in the air, loud laughter and sudden screams in the night air! The locals believe that urbanisation may simply camouflage the witches and their antics, but their reflections can be sensed by those open to their vibes. The residents of Jagatpura refrain from venturing out late at night and advice you to do the same. This is one place in Rajasthan where the locals say that you will definitely meet your worst nightmare- a ghost. Known to be one of the spookiest places in Rajasthan, the secret chambers and the screaming ladies asking for help to save their empire are bound to scare you beyond your imagination (literally). This, after Maharani Padmini (no, not Deepika Padukone), performed Jauhar along with 700 other followers after Allauddin Khilji attacked the palace. Overlooking the pink city of Jaipur, the Nahargarh Fort stands strong on the edge of Aravalli Hills. The primary reason for the high walls around the fort were to disconnect the royals from the world. The fort was built by Sawai Raja Man Singh with Amer Fort and Jaigarh Fort. The king however, was so passionate about this particular fort that he built (for his queens) that even after his death, the Nahargarh Fort is haunted by his ghost. We've heard that the owner of the restoration organization who was keen on renovating the building to preserve it for the future was found dead mysteriously in his house. 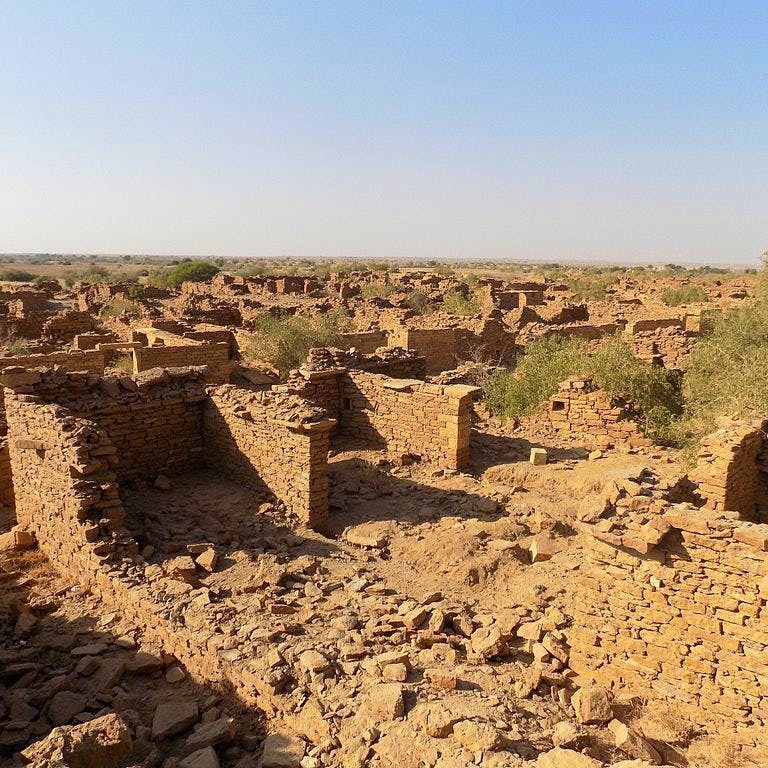 Kuldhara is an village in Jaisalmer that has been abandoned since the 1800s for a curse that apparently cannot be lifted. A sinful minister forcefully wanted to marry a beautiful villager and threatened her family to take hold of her. The villagers left the place leaving an undying spell so that no one could ever live or breed on this land. When checked for by the Paranormal Society of New Delhi, it was revealed that most stories by people are true and detectors and ghost-boxes have recorded voices of dead villagers and there have also been scratches on cars and footprints of children in the mud (that too, of an abandoned village). Scares us, what about you? Brij Raj Bhavan is a majestic mansion that has been converted into a heritage hotel is said to be haunted by the spirit of an English soldier named Major Burton who was killed by Indian militants at Brij Raj Bhavan during the Sepoy Mutiny. As beautiful as this structure looks from the outside, it is considered to be the most haunted place in Rajasthan, As the locals suggest, the spirit of Major Burton is harmless and causes no actual damage to the structure, however it is known to have a habit of hitting dozing security guards.